Here is the pinout intuction to Dodge Ram 1500 HCS12 cluster if you need to change mileage on this model by digiprog 3 v4.94 odometer correction tool. The digiprog3 pinout here is for Ram with HCS12 cluster, if your Dodge have differnt instrument cluster inside as picture below. You cannot follow the pinout. 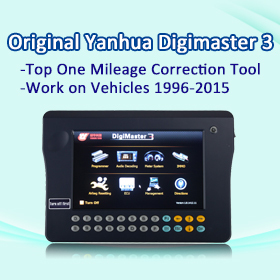 Follow DigiProg prompt until mileage is successfully changed. Digiprog 3 Pinout to Dodge Ram 1500 with ST92F120 MCU will be available in feature post. This entry was posted in Uncategorized and tagged digiprog 3, digiprog 3 v4.94. Bookmark the permalink.